What happens when two committed Francophiles, art lovers and design junkies get together over a bottle of red wine? Huff Harrington Fine Art, a gallery with a little je ne sais quoi is born, followed a few years later by its decor siblings, Huff Harrington Home and Huff Harrington Design. We’re passionate about creating spaces that are comfortable, functional and brimming with gorgeous details that reflect one’s own lifestyle and personality. Ann Huff (right) was raised in Geneva, lived in France and speaks flawless French. She’s armed with a Bachelor of Arts in art history from Swarthmore College, and her art and design career blossomed when she began selling original French art from her Atlanta home. 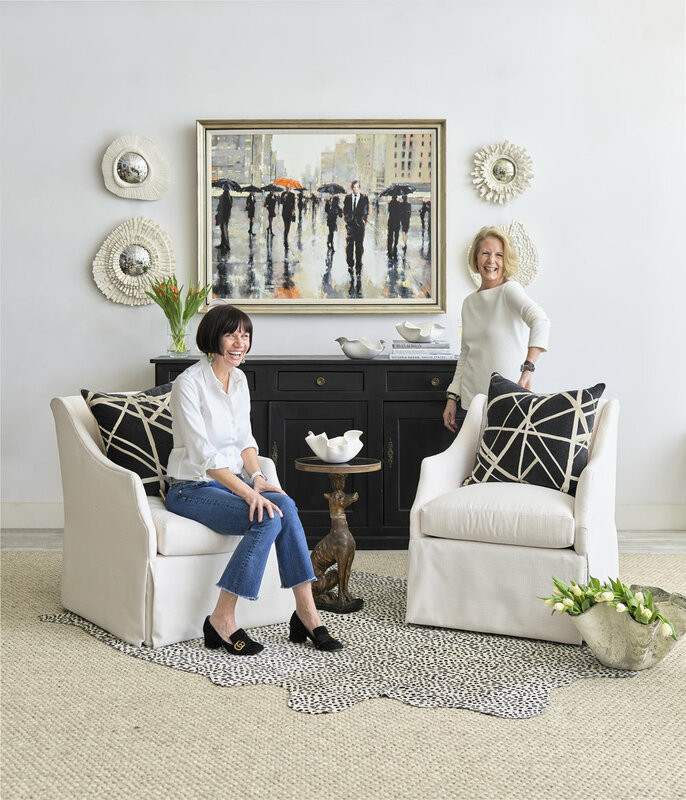 Meg Harrington (left) grew up with a suitcase in one hand and a passport in the other—which grew into a love of art and all things decor-related.